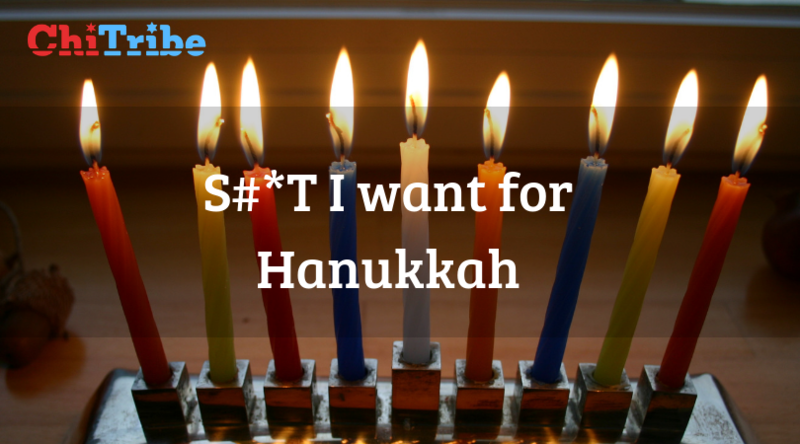 We invite everyone to get more creative this Hanukkah. 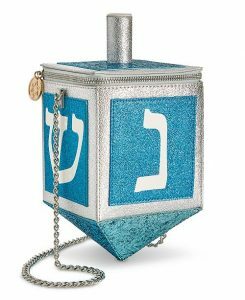 We can do better than just the classic ugly Hanukkah sweater and insert (Jewish object) here leggings. 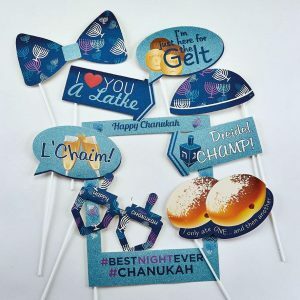 Check out this ChiTribe guide to what you want for Hanukkah – merchandise you never knew you needed. 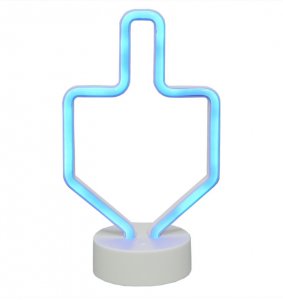 This blue neon light is shaped like the outline of a dreidel for the perfect holiday vibe. Say goodbye to crippling uncertainty forever! 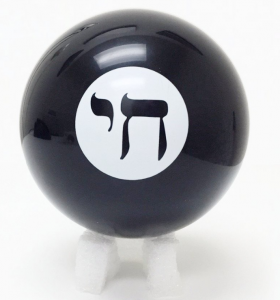 Simply ask the Jewish Wisdom Ball a yes or no question, shake, and there’s a good chance your question will be answered with a question. You may be made to feel guilty for having asked in the first place, and once in a while you could be told to put on a sweater. You need this. Everyone needs this. Because you love your dog more than your friends. We all do. 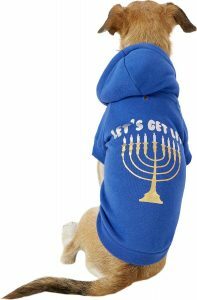 DM ChiTribe your Jewish dog pics this season! Make the story or it didn’t happen. 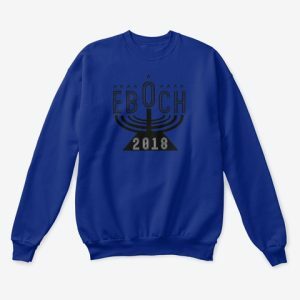 Eight Bars of Chanukah 2018 Official Merchandise. You can read all about the The Epic of EBOCH on ChiTribe. Come out to celebrate the miracle this Sunday December 8th. 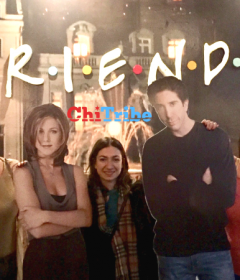 “8 Bars of Hanukah, 8 bars of Hanukah…we celebrate the fateful crawl of bars”. 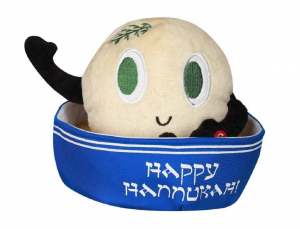 Stuffed Matzoh ball soup is so much cuter than stuffed cabbage. 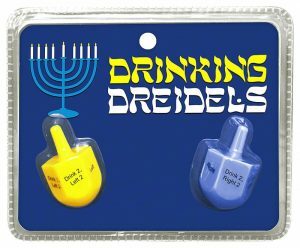 Get Lit with this very fast-paced holiday drinking game, Players spin their dreidels, follow the instructions and pass them on before someone ends up with both tops. 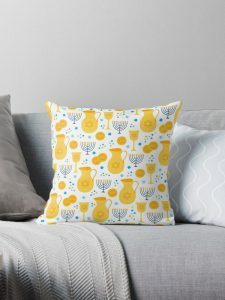 What other Hanukkah Swag did you discover that you never you knew you needed? 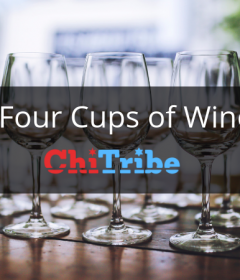 Email ChiTribe so we can add it to our list!